Stay in Chianti's best hotels! Located in in the Chianti region between Florence and Siena, Villa Sabolini sits in parkland overlooking the hills of the Tuscan countryside. The hotel offers a pool and free parking. The best hotel from my trip to Europe. Great room, great staff, great restaurant and great price for what you get. Offering a seasonal infinity pool and hot tub, Villa Le Calvane is set in Montespertoli, on the hills overlooking the Chianti region. Olive oil and wine are produced on site. This is a first class property! The staff is incredibly friendly and accommodating. We did not want for a thing! The hotel is stunningly beautiful and the views are breathtaking. We stayed there for 4 nights and ate most all our meals there because the food was 5 star quality and we didn’t want to miss what the chef was doing next. We will go back and stay there next year. Palazzo Pacini in Colle di Val d'Elsa has a garden and a terrace. Among the facilities of this property are a restaurant, an ATM and a shared lounge, along with free WiFi. Guests can use a bar. Hotel in old part of city on top of hill. Although we were in the suite on -1 level, we had a beautiful balcony and view of the garden. Room itself was large with a sitting area, huge bathroom and king bed. The bathroom was amazing - nice shower, very large tub and interesting layout (almost in a cave setting with modern conveniences). The hotel staff were over the top helpful with day tour suggestions, restaurant recommendations, hiking activities, etc. (we stayed 2 nights). Breakfast was wonderful and pretty much cooked to order as well as fruit, meats, cheeses, breads, pastries, etc. The owner was very nice and also owns a wine shop/bar across the street. We bought several bottles of great Italian wines from there as well as a couple of wine tastings! Certosa di Pontignano Residenza d'Epoca is offering accommodations in Ponte A Bozzone. The property has a bar, as well as a restaurant serving Italian cuisine. Location and amazing property. Staff also very nice especially when we had breakfast. We stayed a November weekend,we were the only guests and was pretty cool to walk around the property! Managed directly by the owner, Albergo Palazzo Squarcialupi is a 15th-century building in Castellina in Chianti. It offers a garden with outdoor swimming pool, and a spa. A lovely historic property beautifully maintained. It was a pleasure to just sit in the library and admire the interior furnishings, although we were out most of the time. Views from the back terrace were wonderfyul. All the booking.com photos are realistic. The reception staff and the sweet waitress who took care of us at breakfast were all so accommodating and friendly. A former 16th-century farmhouse surrounded by vineyards, Locanda Le Piazze is now a small, luxurious, boutique hotel 3.7 mi from Castellina in Chianti. It was so peaceful and relaxing! It was a perfect and romantic stay in Chianti with my husband. We would love to go back! Palazzo San Lorenzo is in the medieval village of Colle di Val d'Elsa. It offers rooms with modern-style décor, 32” LCD TV and hydro-massage bathtub or shower. The room (we had a family room) was just amazing. Very spacious, clean (looks like new) and most important kids friendly :-). The staff (at the desk and in the restaurant) were very friendly and hospitable. The location of the hotel is in the middle of the old city. Just few meters from one of the gates (very beautiful). So, to sum it all up: great place, highly recommended. Set in a tranquil location 328 feet from the village of Castellina in Chianti, Albergo Il Colombaio offers rustic-style rooms with free WiFi. It features an outdoor pool and a large garden. Great little town and nice old hotel. Roberta was really nice! Albergo Italia offers simply furnished rooms with private bathroom, just 330 ft from Poggibonsi Bus and Train Stations. Both Wi-Fi access and nearby private parking are free. The staff was great, especially Emilio who spoke English. 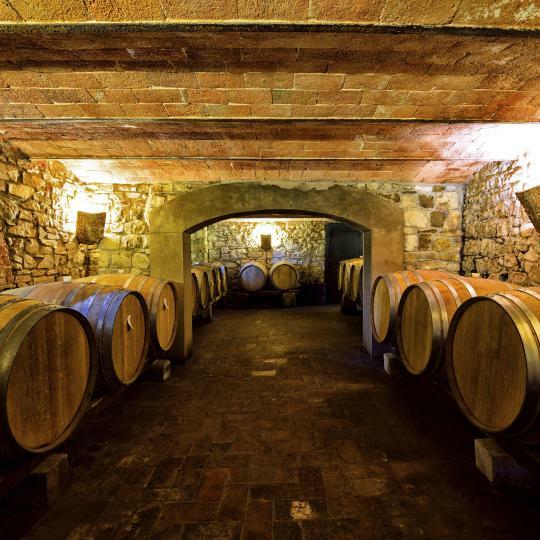 Casa al Sole is in the center of Greve in Chianti on the famous wine road. It offers Wi-Fi and cozy air-conditioned rooms with private bathroom. Can't say enough good about the family that runs this establishment or the facilities. Nestled in the Tuscan hills and boasting sweeping views of the Chianti region, Hotel Borgo Di Cortefreda is steeped in history and offers an array of impressive facilities. It's the second time my family and I come here and we love it! In the central square of Greve in Chianti, Albergo Del Chianti has been in the family for over 20 years. This was a great hotel! Very quaint and cute. The staff was extremely friendly and helpful! Park Hotel Chianti is set in the heart of the Chianti Classico area, 9.3 mi from Florence and 25 mi from Siena. We found the front desk personal to be friendly and extremely helpful during our stay. Beautiful Villa Ambrosina is in a hilltop location south of Florence, one mile from the Firenze Impruneta exit on the A1 highway. You will appreciate the panorama and quiet surroundings. Everything else was good. The hotel personnel were very friendly. Clean rooms. Good breakfast. Set in a pine forest in the countryside of Impruneta, Hotel Villa Cesi features a pool, terrace, and restaurant. Walls of glass windows provide ample natural light, and WiFi is free throughout. A quiet scenic location, and surprisingly good for its low price! Offering a terrace and free WiFi, Albergo Bargino is located in the Tuscan countryside 3.1 mi from San Casciano di Val Pesa. It features classic-style rooms with a balcony and air conditioning. The excellent fish restaurant down stairs. Located between Florence and Siena, Hotel Primavera is in the Chianti wine district and is surrounded by hills, medieval hamlets and churches, vineyards and woods. Really clean. Friendly owners. Located a 10-minute drive from Piazza Santa Croce, La Rimbecca Greve in Chianti provides rooms with air conditioning in Greve in Chianti. The owners were amazing and very attentive. David drove us to dinner and picked us up! Certosa di Pontignano Residenza d'Epoca is offering accommodations in Ponte A Bozzone. The property has a bar, as well as a restaurant serving Italian cuisine. Location and amazing property. Staff also very nice especially when we had breakfast. Managed directly by the owner, Albergo Palazzo Squarcialupi is a 15th-century building in Castellina in Chianti. It offers a garden with outdoor swimming pool, and a spa. A lovely historic property beautifully maintained. A former 16th-century farmhouse surrounded by vineyards, Locanda Le Piazze is now a small, luxurious, boutique hotel 3.7 mi from Castellina in Chianti. It was so peaceful and relaxing! It was a perfect and romantic stay in Chianti with my husband. Romantik Hotel Monteriggioni is set in the heart of Chianti, in the walled medieval town of Monteriggioni. It features a large garden with a swimming pool and olive trees. Owners were very nice and accommodating. Property was unique and very comfortable. Borgo San Felice is located in Castelnuovo Berardenga in the heart of the Chianti wine district. It offers spacious rooms with antique furnishings, a swimming pool, and panoramic views. The property and the grounds and the landscape was magnificent. This medieval hamlet, surrounded by nearly 1000 acres of nature reserve in the heart of the Chianti hills, has been lovingly restored and converted to a 4-star hotel. Loved the setting and tranquility... a perfect place to relax and enjoy. 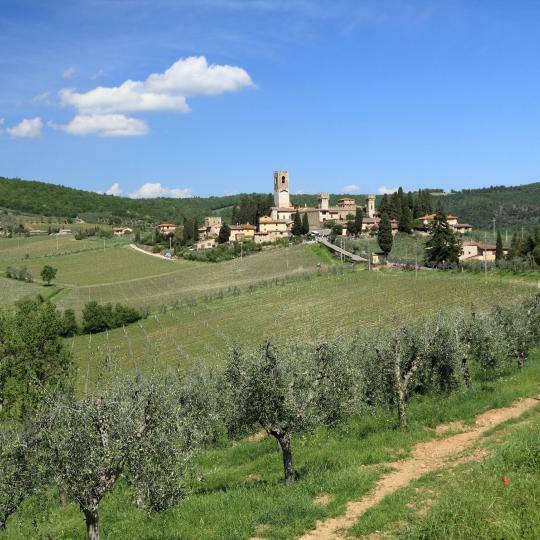 Surrounded by vineyards, Belvedere Di San Leonino is located in Castellina in Chianti, in the heart of the Chianti area. Beautiful hotel surrounded by Tuscan vineyards. Relais Vignale is a charming country house of the 18th century located in the heart of the Chianti Classico area, with panoramic views across the Tuscan countryside and Chianti vineyards. Absolutely stunning. Great pool and restaurant with views from both. Nature and art blend seamlessly in this outdoor museum, with artworks created by international artists scattered along a forest trail. There’s no better place to taste this sublime red wine, straight from the vineyard. Try a range of flavours from different areas in the region. Six different routes traverse the commune of Gaiole in Chianti, winding through idyllic countryside en route to medieval castles and fortified farmhouses. 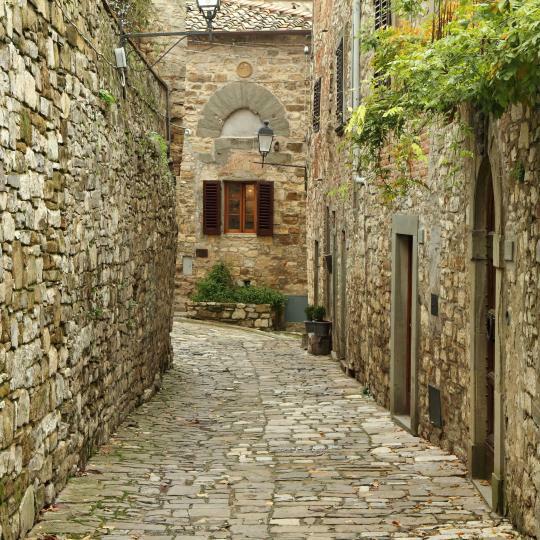 Step through this charming village’s ancient gate and uncover vistas of the verdant Chianti countryside threaded between medieval buildings. 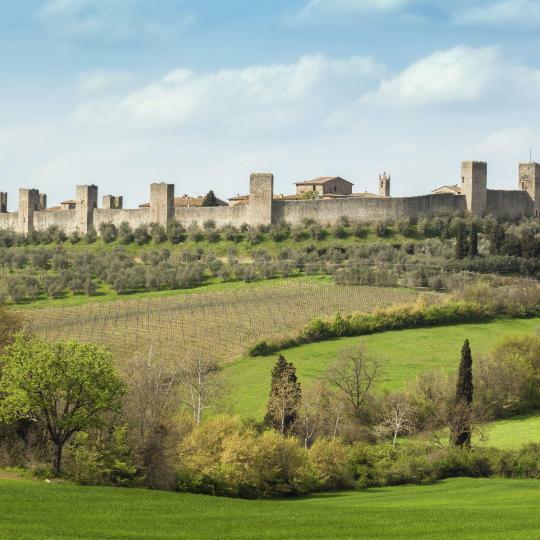 Dante Alighieri immortalised this Tuscan commune’s impressive walls in his ‘Divine Comedy.’ The fortifications stand watch over idyllic swaths of verdant countryside. Rustic trattorias are peppered throughout Chianti, serving local favourites like hearty Ribollita and Finocchiona in an easygoing familial atmosphere. Flourishing vineyards and green hills, blanket the countryside just outside of the historic walls that preserve this ancient monastery. 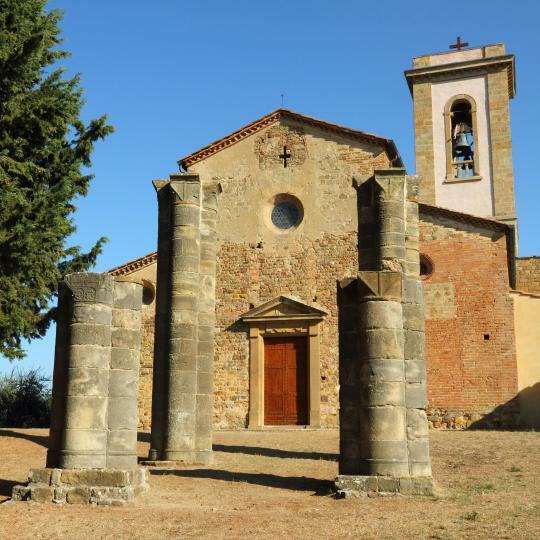 Chianti’s oldest church is nestled in an oasis of tranquil scenery, perfect for meditating to the sound of the wind whispering through the trees. 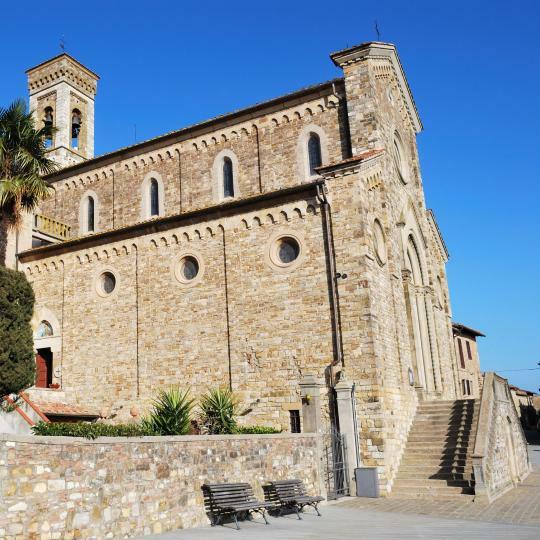 Known as the ‘Gateway to Chianti', this bucolic town is home to a triangular piazza that hosts a market each Saturday. The hotel is in a great location right in the corner of the square. A bakery next door, if you're up early enough you can smell the breads. I traveled with my 7 and 2 year old kids and the pool was perfect. Restaurants all within the square and to the street directly left when you leave the hotel. We made in time for the traditional Italian long table dinner. It was a perfect stay for 3 nights. We took the bus from Florence to Chianti and the ride was an hour long. Just as the guide books say, the perfect town to visit if you have no car. This Hotel Villa is exquisite! Decorated in period furniture, the place is immaculate, charming, and lovingly presented by the owner, (who is descended from the original family of the villa.) We had a large, very comfortable room with a window overlooking the garden, the pool terrace, and the Chianti hills all around - just magnificent! 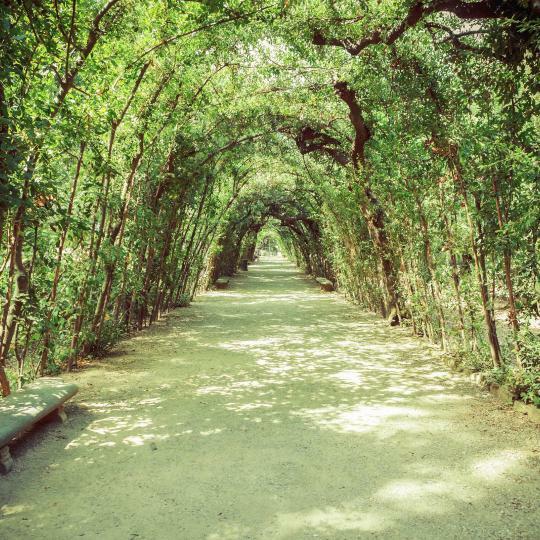 Quiet and peaceful, yet just off the main route through the Chianti vineyards region. Breakfast includes a spread of all kinds of delights. The staff is helpful and courteous. We will definitely be back! The location is beautiful and historical, overlooking the hills of Chianti region of Tuscany. Individual apartments in a old village setting, and quiet area of Chianti. Apartments are very spacious and clean. We were able to sit outside and overlook the hills from lawn chairs they had available. Kitchen had everything that anyone would need to cook meals if they wanted to. Beautiful pool, although we did not use the pool (water temperature too cold for us). Staff, especially at breakfast were very friendly and helpful. This hotel is amazing! It is the ex-summer house of an Italian family, and you feel like you are staying as their guest. The staff show you around, the house is beautiful, and the garden and views across the valley are stunning, particularly sunset. The room had a four poster bed, beautiful old bathroom and was very comfortable. There is an honesty bar - with chianti wine - and a fantastic restaurant for residents only. If you come for one thing only, come for the food. It is fantastic. Wow, what a beautiful location. The apartment is built into the old wine cellar of a medieval castle on top of a hill in Chianti. The terrace is huge and has breathtaking panoramic views. It is a very peaceful and special place. Alice was a really great host and was so helpful. She is an authentic Greve local with great recommendations on restaurants and wineries. We were very happy with our stay. This is the best deal in town! We could not have asked for a better place to stay in Tuscany! Everything was amazing. The hotel was a well-preserved rustic medieval castle with perfectly clean and updated facilities. The staff was so helpful and kind, and the food was incredible. The location is central to all of the little Tuscany towns we wanted to go to and rooftop patio had stunning views. Their Chianti was also fantastic! Great location, 4 minute drive to Radda City centre. Modern and elegant hotel. Nice Spa. Beautiful views overlooking Chianti valleys. Radda is a quaint town you must visit. Comfortable bed and Room very spacious. We would definitely come back here to stay! Great dinner at hotel restaurant. The aromas throughout hotel were lovely. Great breakfast area with plenty of choices. Atmosphere was amazing. Beautiful nature surrounded with all green! Birds singing every morning! The rooms were clean and nice. Enough spacious. The breakfast was nice. The staff was helpful. The hotel is in the heart of chianti with a beautiful view. Siena is 1.30 hours driving away - which we had our dinner in there. Easy parking option, we will definitely stay in there again! Perfect location to explore Chianti. Absolutely beautiful view. Very comfy apartment. Clean, lovely furnishings. Very well kept property. Beautiful pool and view from pool. Owners and staff were fantastic, and so helpful. Everyone was very genuine and friendly and knowledgeable about the wines, and the area in general. Thank you Panzanello for an amazing stay. We will be back! I loved everything about this place. It was the best part of our vacation in Italy. This place has an amazing view over looking Chianti vineyards. The one bedroom apartment was spacious and comfortable. The pool was nice to use. It was easy to drive to various vineyards during the day. We stayed for 5 nights. Next time we can skip Rome and Venice and come straight here. Wow, what a place! Everything about our stay here was a perfect 10. Hotel staff far exceeded our expectations. Amazing views, pool, and food. And we're still having dreams about our bed! Right in the heart of Chianti, but only a short 45 minute drive (mostly on the highway) from Florence. Couldn't have imagined a better place for our honeymoon! Our 2 bedroom apartment was spacious and clean with views of the dreamy hills of Tuscany. Hanging around the garden pool was a highlight of our stay. Great location to completely enjoy the quiet countryside and only 10 mins away from town center Greve in Chianti. Staff was very nice and helpful. Would definitely recommend and/or stay here again. The peace and tranquillity! The location is superb for exploring the Chianti area and it’s close to Florence if you like the big cities. The apartment is FULLY stocked, they haven’t missed a thing. There are outside seating areas where you can enjoy nature. Our host was wonderful and gave us lots of tips for exploring the area. The apartment Piani 2 was roomy. Two bedrooms, kitchen with dinning room, bathroom, two terraces and a beautiful view of Barberino val d'elsa. The hosts were very nice. There was also a nice pool ready to use. They gave us a bottle of their chianti wine and home eggs. Thanks for everything. Hotel is beautiful; staff friendly and most accomodating;and it was a great value. The town of Castellina in Chianti is charming as is Palazzo Squarcialupe. I stayed ther 10 years ago while buying a property in the area. I always wanted to return, and I'm glad I did. The apartment is better than the pictures led me to believe. The views are indescribable. The bed was comfortable. The staff was kind. WiFi is only available in the main office area but that was not a problem for us. We go to Chianti to get away not to stay plugged in. We stayed in April, in room il Castello. That was a great apartment, with a fireplace, a great view, high ceiling and it was very spacious. It was good value for money. It's close to main road but also a convenient location to tour Chianti. 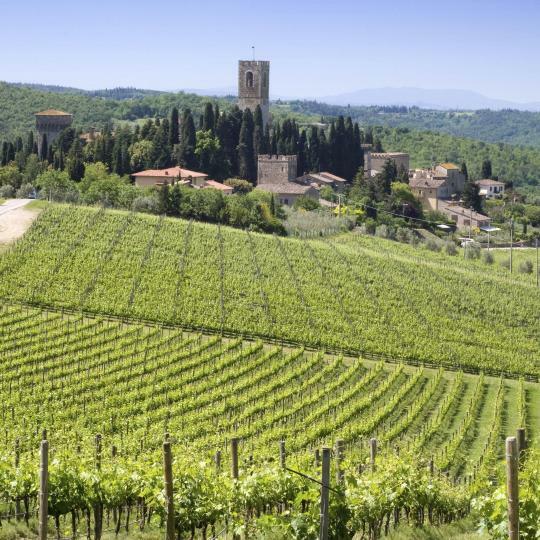 Gorgeous Chianti hills. The hotel is in the middle of their huge vineyard property that makes a million bottle of wines a year. Very friendly staff and delicious breakfast. Can’t wait to go back! Beautiful old castle restored to current comforts. Beautiful setting with helpful staff. Greve is a short drive away. This is a nice hotel in Chianti, quiet and classy. The location is stunning. 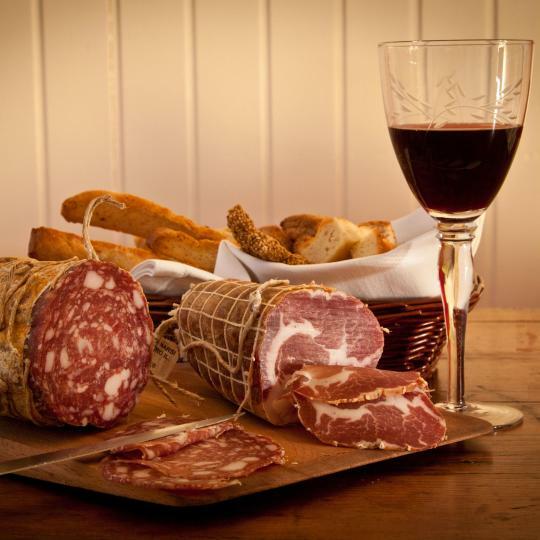 The food, especially at Contrada and the staff were unfailingly polite, friendly and helpful.